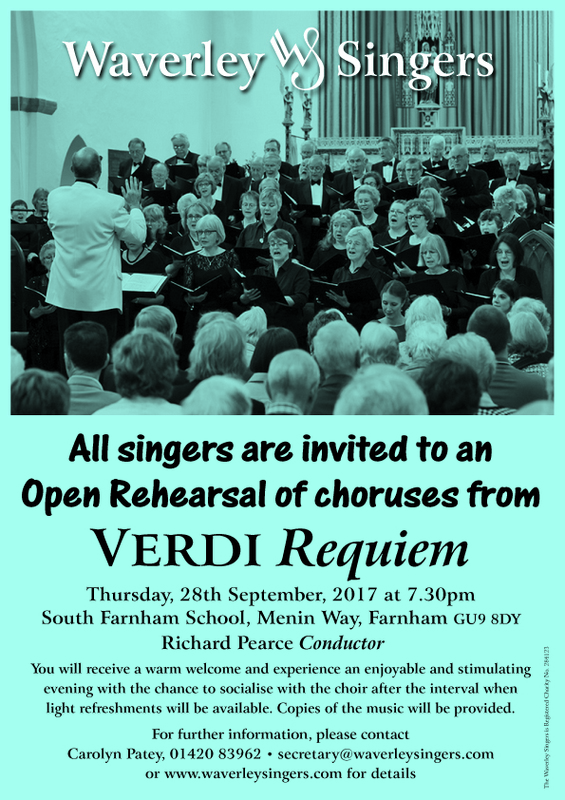 Venue: South Farnham School, Menin Way, Farnham. 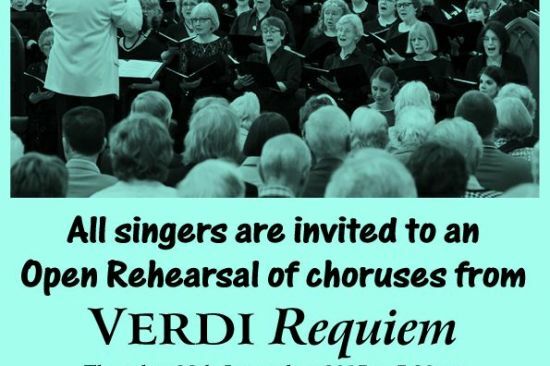 We'll be rehearsing choruses from Verdi's Requiem in preparation for our collaboration with Romsey Choral Society, with concerts in Romsey Abbey in November and Guildford Cathedral in January. You'll receive a warm welcome and experience an enjoyable and stimulating evening with the chance to socialise with the choir after the interval, when light refreshments will be available. Copies of the music will be provided.